At Dental Health Centers, our most significant priority is helping patients maintain strong, aesthetically pleasing smiles that are built to last. Professional maintenance and treatment from our comprehensive team of general doctors and specialists are essential, but the quality of your home dental care will also strongly influence your oral health. Changes in diet and hygiene at home can help patients keep potentially dangerous plaque and bacteria under control. Contact us today if you have any questions, or if you are ready to schedule an appointment at any of our three locations in Miami Lakes and Pembroke Pines, FL. Position the brush at a 45 degree angle to the gum line and then make small, concurrent rotations. The patient should be able to feel the bristles against their soft tissue while doing so. Brush each tooth thoroughly, covering the outer surface, the inner surface, and the biting surface. Utilize the brush’s tip to effectively clean the inner surfaces of your front teeth. Brush your tongue to remove bacteria from the surface and also refresh your breath. Electric toothbrushes can be an excellent choice for patients, as they allow for simpler, even more efficient plaque removal. The bristles need to be placed against the soft tissue and teeth, and the brush will handle the work by producing steady vibrations that remove plaque and bacteria. Take anywhere from 12-16 inches (30-40 centimeters) of dental floss and wrap it carefully around your middle fingers so that there’s around 2 inches (5 centimeters) left for flossing between your hands. Gently guide the floss between your teeth and use a precise sawing motion to clean the area. Curl the floss so that it slopes around each tooth and underneath the gum line. Carry out the same motions carefully in these areas to fully clean the sides of each tooth. 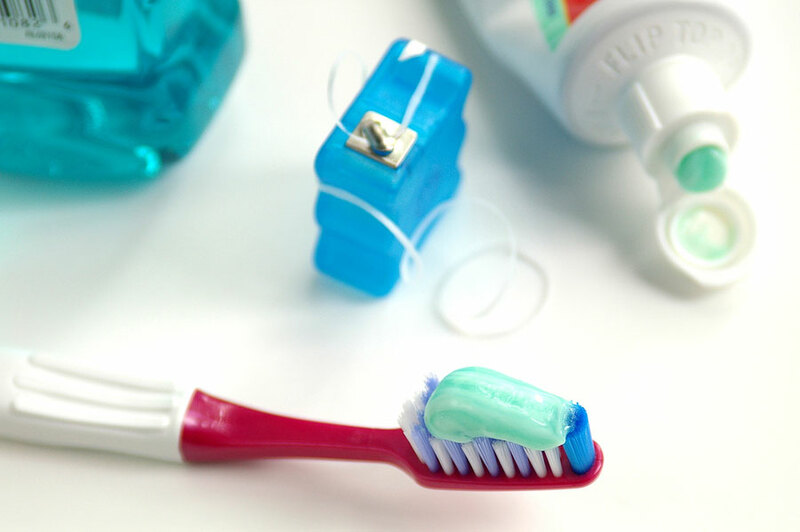 If you are unable to maneuver traditional floss effectively, a floss holder can help. Patients should always rinse their mouth with water after brushing. If you are unable to brush following a meal, rinsing can be particularly beneficial in these instances by removing food particles and destructive bacteria from vulnerable teeth and soft tissue. We recommend that you review the use of any professional rinsing product with our team initially – our doctors can help you determine if it really is the optimal option for your unique needs.